A CLASSICAL building that is part of the borough’s heritage, broken bequest conditions, reckless squatters, fly-tipping, owners passing the property one to another, suspicious fires, broken promises, deceived and angry locals… just another Hackney story? The saga of St Mary’s Lodge in Stoke Newington has all the elements of other architectural losses, among them the recent destruction of the massive Dalston Lane Victorian theatre and the confused treatment of the Georgian terrace a few hundred metres east. In this borough, these confrontations of philistinism with conservation play like a well-scripted drama. The latest has reached the scene where a political group sees some advantage and steps on to the stage. 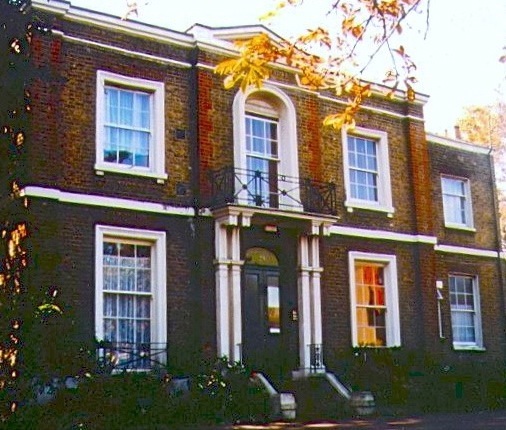 The case of St Mary’s Lodge, the grand architect-built 1840s house in Lordship Road N16 OQX, has been taken up by the Liberal Democrats. That, of course, is an opposition party’s job: to help those frustrated Stoke Newingtonians who are trying to save what remains of local history from the incompetence or gullibility of Labour-dominated Hackney council. That the opportunity occurs a few months before council elections is a good motivating factor. 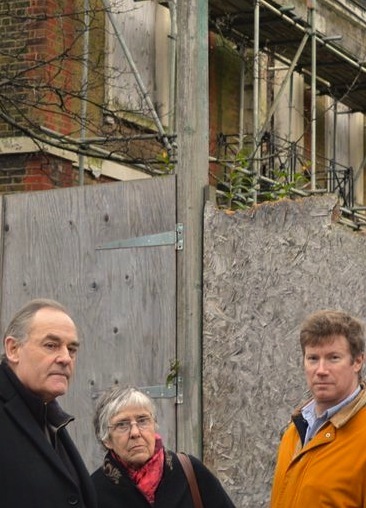 Labour councillors were also eager to make capital out of the poor old house, posing in 2004 for a newspaper to show they were preventing demolition. At the town hall on 26 March 2014 Hackney Mayor Jules Pipe was asked if the council would compulsorily purchase St Mary’s Lodge. A compulsory purchase orders allows a local authority to buy a property when other measures have failed. The meeting was told the advice was that an order was not possible while discussions with the owner were continuing. But, say the LDs, Hackney’s planners have been in talks throughout the 12 years of the property’s slide into dereliction, and what has that achieved? Today, as local politicians squabble and blame one another for failing the house, it is collapsing into the ground. And what ground: 0.14-hectares (just over a third of an acre) that, with or without a building on it, is likely to make its present owner, Keren Habinyan, a company connected to a rich Hasidic sect, a great profit on the price it paid two years ago. A Loving Dalston request to Keren Habinyan for a comment has not had a response. To think, officialdom took over the house in 1959, in a deal that stipulated the property be used for charitable purposes. * A petition has been posted on the council website. See comment below or press this link. For a chronological history of St Mary’s Lodge, southwest corner Lordship and Manor roads, Stoke Newington N16 OQX, press this link. See also Hackney council’s summary. If you include dictionary links to words more than two syllables long, please make sure you spell them correctly yourself. “Philistinism” does not have a double L.
How very patronising and presumptuous about your readers to assume that we require links to online dictionaries. Tsk! Apart from that, you’re all fabulous. Love from a clearly OCD individual. I awoke the other night to think “Shouldn’t I have checked the word in one of the dictionaries in my office?” Then I turned back to sleep. Your horrifying letter has awoken me from my carelessness and I have made a correction. The word we are discussing is, I think, less prevalent than it once was, possibly because the Bible is read less. – Ed. It all depends on the eyes of the observer. We call on the Council now to end 12 years of waiting and to take any and all necessary legal action to ensure that St Mary’s Lodge is restored and put into use without further delay. St Mary’s Lodge was sold by the council at an under-market value for educational or community use. It has not been so used for over 12 years and has been allowed to become derelict, collapsed, an eyesore and a fire and health hazard. It is a blot on the neighbourhood and on Hackney council’s hard-earned reputation for fairness and the responsible management of public assets. We have no objection to St Mary’s lodge being used as a school or for other community purposes. Equally, we would not object to commercial development as residential, as long as the existing structure is “retained and enhanced” (this was the original condition which the council laid down when the building was put up for auction). The petition link says that the petition is now finshed, so you can not longer sign it. Just the kind of place that could make a great base for community groups and charities. What a waste of a building with potentially huge community value. Hope LB Hackney do the right thing with this.